MULTIPLE OFFERS!Award Winning Design by Hugh Newell Jacobsen. This one is the cream puff! 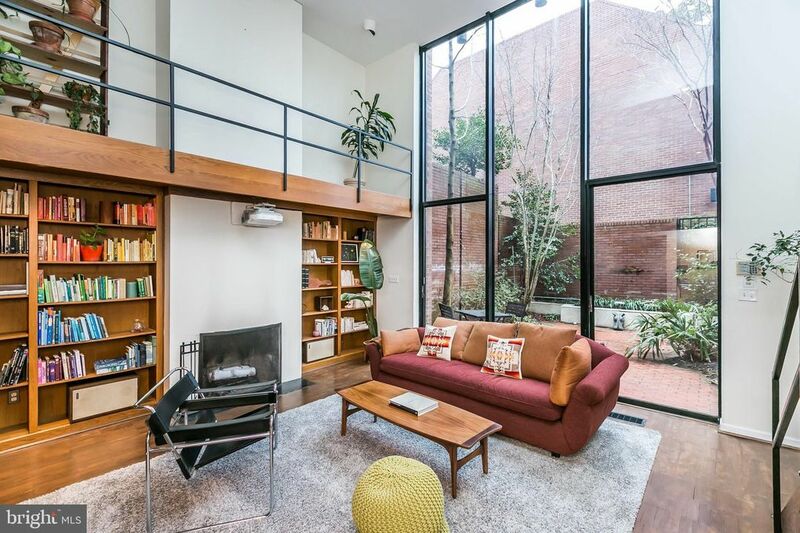 Unique two story glass atrium, wood burning fireplace, parquet floors, gourmet kitchen with granite and Bertazzoni gas stove. 4 Beds including 2 Master Bedroom/Bath Suites, 3.5 Baths, unfinished attic that can be converted to additional living space. Private Brick Courtyard with Pond with Professional Landscaping. 2 Parking Spaces. Low HOA Fees, $750 per year. Steps to MARC Train at Penn Station, MICA, BH Swim & Tennis Club and Hopkins Shuttle.